Did you know that the most commonly used mouse actions are clicking a window’s “Close” button (the X in the top-right corner), and clicking the “Back” button (in a browser and various other programs)? 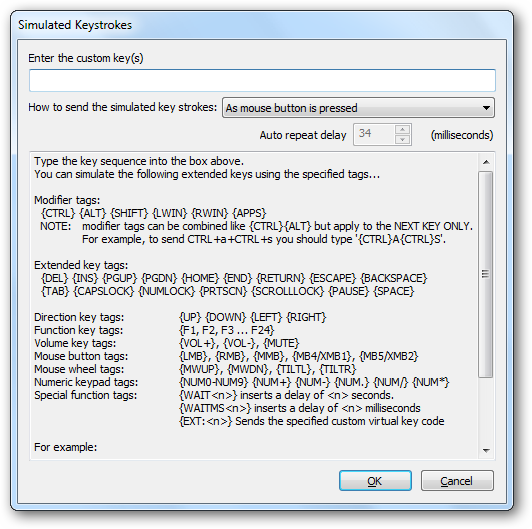 How much time do you spend every day locating the Close button or the Back button with your mouse so that you can click on them? And what about that mouse you’re using – how many buttons does it have, besides the two main ones? Most mouses these days have at least four (including the scroll-wheel, which a lot of people don’t realize is also a button as well). 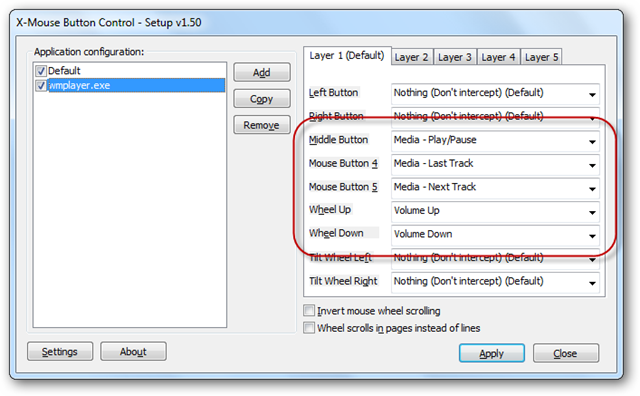 Why not assign those extra buttons to your most common mouse actions, and save yourself a bundle of mousing-around time every day? 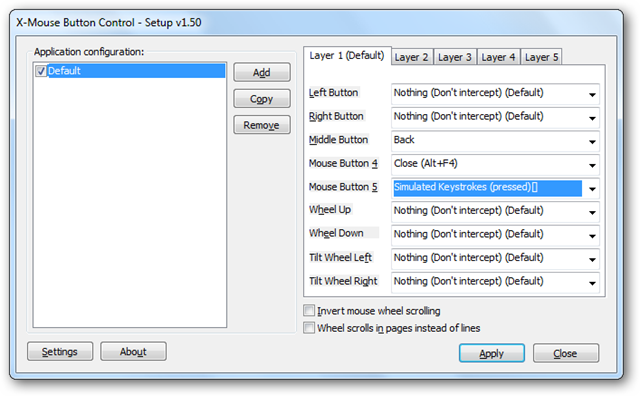 If your mouse was manufactured by one of the “premium” mouse manufacturers (Microsoft, Logitech, etc), it almost certain came with driver software to allow you to customize your mouse’s controls and take advantage of your mouse’s special features. Microsoft, for example, provides driver software called IntelliPoint (link below), while Logitech provides SetPoint. 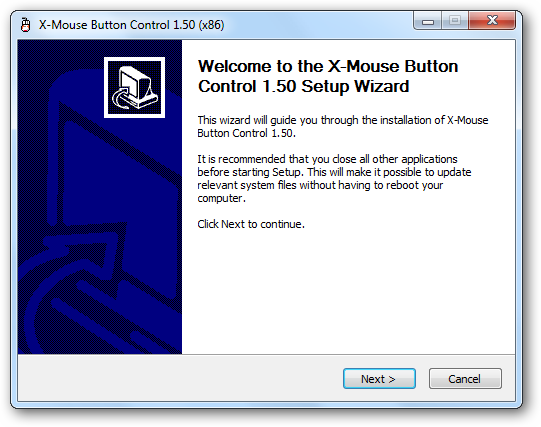 It’s possible that your mouse has some extra buttons but doesn’t come with its own driver software (the author is using a Microsoft Bluetooth Notebook Mouse 5000, which amazingly is not supported by the Microsoft IntelliPoint software!). 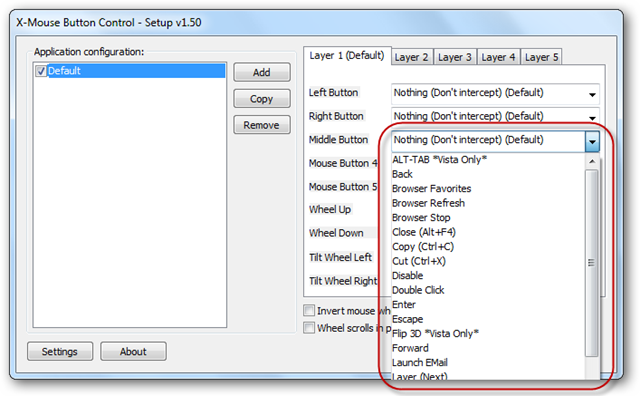 If your mouse falls into this category, you can use a marvelous free product called X-Mouse Button Control, from Highresolution Enterprises (link below). It provides a truly amazing array of mouse configuration options, including assigning actions to buttons on a per-application basis. Once X-Mouse Button Control is downloaded, its setup process is quite straightforward. 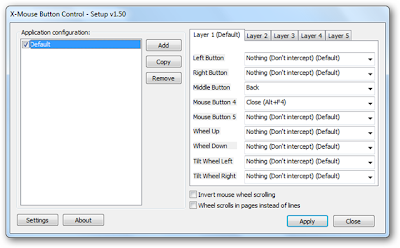 It’s extremely unlikely that we will want to change the functionality of our mouse’s two main buttons (left and right), so instead we’ll look at the rest of the options on the right side of the window. The Middle Button refers to either the third, middle button (found on some old mouses), or the pressing of the wheel itself, as a button (if you didn’t know you could press your wheel like a button, try it out now). Mouse Button 4 and Mouse Button 5 usually refer to the extra buttons found on the side of the mouse, often near your thumb. ….and many other options. Explore the drop-down list to see them all. You may decide, for example, that closing the current document (as opposed to the current program) would be a good use for Mouse Button 5. In other words, we need to simulate the keypress of Ctrl-F4. Let’s see how we achieve this. One of the most powerful features of X-Mouse Button Control is the ability to assign actions to buttons on a per-application basis. This means that if we have a particular program open, then our mouse will behave differently – our buttons will do different things. 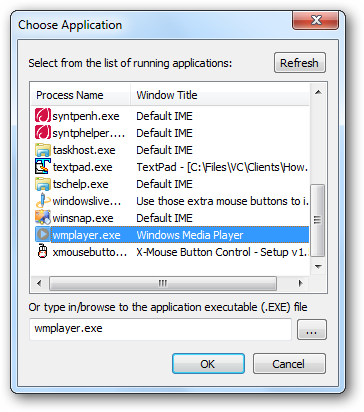 To save all our changes and close the window, we click Apply. Now spend a few minutes thinking of all the applications you use the most, and what are the most common simple tasks you perform in each of those applications. Those tasks are then perfect candidates for per-application button assignments.